If your teeth aren’t quite as sparkly as you’d like them to be, you may want to consider teeth whitening at Omnia Dental Care in Chino Hills, California. Experienced dentists Dr. Rupporn Priyawat and Dr. Maria Kim can professionally brighten your teeth to give you a beautiful smile and a boost of confidence. Call today to schedule an appointment. Why are my teeth dull and yellow? Even if you regularly brush and floss, your teeth become dull and discolored over time. There are a number of factors that affect the appearance of your teeth. Your teeth are porous; therefore, they are susceptible to staining, especially from coffee, tea, wine, blueberries, and tomato sauce. Between brushing and eating, the tough white enamel on your teeth begins to wear down as you get older, causing the yellow dentin under the enamel to show through. When a tooth is injured, it lays down more dentin to protect itself, which causes that tooth to appear more yellow. Like with food and drinks, nicotine and tar in cigarettes stains your teeth. While the dental team at Omnia Dental Care can brighten almost any smile, not all teeth whitening agents work on every stain. After an examination of your mouth and teeth, Dr. Priyawat or Dr. Kim can determine the best way to brighten your smile. 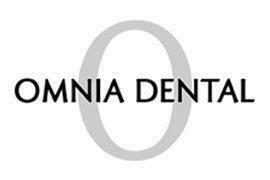 The dental experts at Omnia Dental Care use a special dental gel to brighten your smile. The in-office treatment requires only one visit and can make your teeth several shades lighter. During treatment, a mouth guard is placed to protect your gums and the gel is painted on your teeth to lift the stains and reveal the bright white enamel underneath. Treatment typically takes about an hour. You may experience some sensitivity after teeth whitening, which is normal, but it should resolve itself quickly. With good aftercare, your teeth may remain white and bright for up to a year after treatment. Omnia Dental Care recommends that you continue to brush and floss daily to reduce staining and follow up with regular checkups and professional cleanings. Limiting your intake of foods and drinks that stain may also help keep your teeth white. If you’re having a hard time giving up coffee, the team suggests drinking out of a straw. Brushing after you eat or drink may also help prevent stains from setting in. If you’re ready to get your teeth professionally whitened, call Omnia Dental Care today.